Surfers Against Sewage is delighted to be part of an international group of nongovernmental organisations (NGOs) coming together to do something big. Our goal is to work together to stop plastic pollution. We are trying to make this movement as big as possible, and we want you to join! We share the common values of environmental protection and social justice, and these shared values guide our work in building the world in which we wish to live. Stopping plastic pollution at at source – preventing it entering the environment in the first place. Creating a circular economy through extended producer responsibility and greater corporate accountability in relation to plastic packaging and products. Creating new legislation to protect the coastal environment from plastic pollution. Dramatically up-scaling plastic pollution education and volunteering opportunities amongst coastal communities and the general public. Initiatives such as #BreakTheBagHabit and #MessageInABottle show how new government policy and legislation can help deliver the new systems needed for manufacturers and retailers to prevent plastic leakage, litter and waste. Our community beach clean events and #BeachCleanBox project engage over 20,000 volunteers a year taking direct action to protect the marine and wider environment. 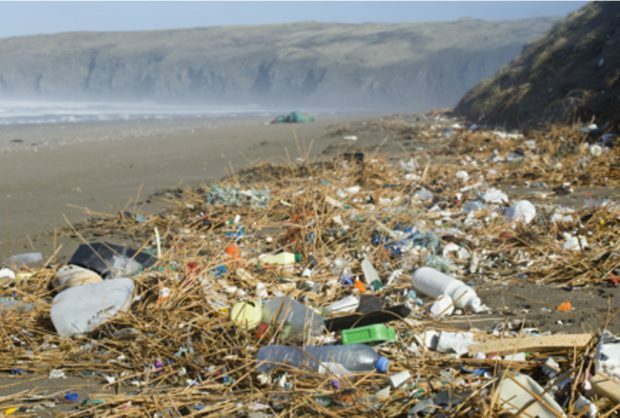 Plastic pollution is also a central theme within our All Party Parliamentary Group, which includes 23 Members of Parliament who can help advocate government policy and legislative change in relation to plastic pollution. 1. Our lifestyles and economy fit within the environment limits of the planet. 2. Waste is reduced, first and foremost. 3. The life cycle of the materials and products we use – from extraction and production, to end use, recycling, composting, and disposal – sustain the health of the people and the planet. 4. Strong community action and partnerships among citizens, workers, government, sector experts, and supportive business leaders guide decisions about present and future material design, manufacturing, and waste management. 5. Waste pickers and recycling workers are supported to improve the systems they operate in and can co-lead a just transition to a new and safe materials economy. 6. Producers take responsibility for the full life cycle costs and impacts of their products and packaging, and are redesigning and innovating better materials and systems. 7. Where plastic products and packages are necessary, they are re-used, repaired, or, failing that, recycled; and toxic substances are eliminated from their production. 8. No new incinerators are constructed, and renewable energy incentives are eliminated for plastics and waste burning. This includes gasification, pyrolysis, cement kilns, and other burn “waste-to-energy” facilities. 9. Organic waste returns to the soils and zero waste systems reduce reliance on landfills and incinerators. 10. The systems we build and materials we use slow climate change, rather than accelerate it.